Oxford Dictionary states the definition of trust as the firm belief in the reliability, truth, or ability of someone or something. That is exactly what we strive to do every day at Coley Company, an executive search recruiting firm, we build trust in all of our relationships. 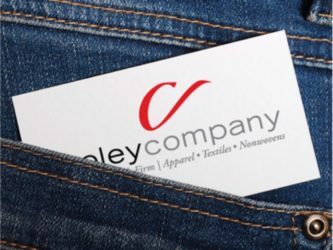 After working in the apparel, textile and nonwoven industries for more than 20 years, I have learned the most important part of our business is trust. Trust is something we have worked hard to create. We know this to be true because when I call people in the industry, they answer my call. The caller ID comes through on their phone, and it is very clear they are receiving a call from Coley Company. Most people who are happy in their jobs don’t want to entertain a phone call from a recruiting firm unless you already have a strong relationship built with them. And after 20 years in the industry, we have built a relationship with many people. Honesty is also a huge part of building trust. We are open and honest with all of our clients and candidates and that encourages them to be open and honest with us. We commit to always share both the positive and negative points for each job opportunity we present to a candidate. You can also be confident that when you share your confidential career feelings with us, they will not be shared with others. Honesty and trust are what helps us identify the right candidate for the right job. A successful search for Coley Company means we’ve had numerous conversations with people from all over. We know who is working in the industry and we know their peers and their friends.Our process is not just about posting ads and messages on LinkedIn. I have never made a placement without many intentional and honest conversations. We provide career counseling for each potential candidate we speak with. Sometimes we speak with a candidate who is right for our job, but they are having great success in their current role. We would never encourage someone to take our job if it is not the best career move for them. This is another way we build trust and foster open and honest relationships. We want what is best for each candidate and client. We are proud of our search process and grateful to have built strong, long-lasting relationships with so many people in the industry.